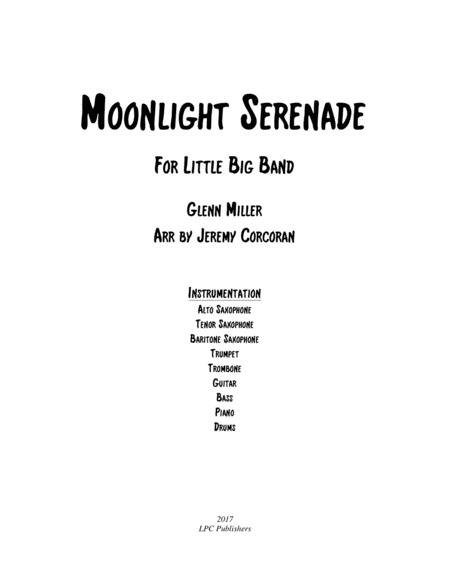 Composed by Glenn Miller. Arranged by Jeremy Corcoran. Jazz, Swing, Big Band. Score, Set of Parts. 19 pages. Published by Published by LPC Publishers (S0.238699). 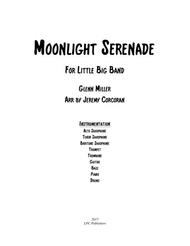 Glenn Miller's famous Moonlight Serenade arranged for Alto, Tenor, and Bari Saxes, Trumpet, Trombone and full Rhythm Section. Great dinner music for wedding bands, or concert music for Jazz Combo's.